On another note, I want to keep blog posts more frequent! 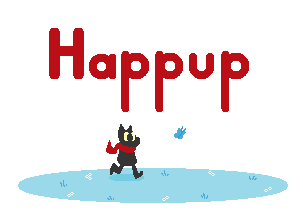 I know I went kind of silent on you guys for a bit there, but that was because of school and the fact that Happup crashed for the second time (Thanks, RM2k3). I should be good, now, though. 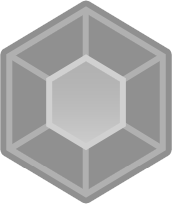 I'm going at a steady enough pace to keep providing new peeks at content as we get closer to a fully playable form, so keep your eyes open for more blog stuff in the future! 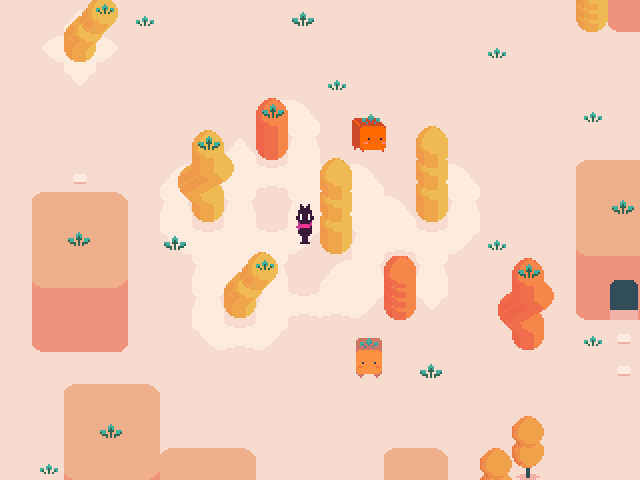 Carrot Town (at least, that's what I've nicknamed it) is one of the more recent areas in Happup. It started out as a desire to try new shapes and techniques for buildings and other areas in the world. So, I thought it'd be fun to break down how the place was made! The weird-looking monuments here are actually the result of me using a copying tool in MSPaint! I've known about the trick for forever, but I've never figured out how to incorporate it into a project. 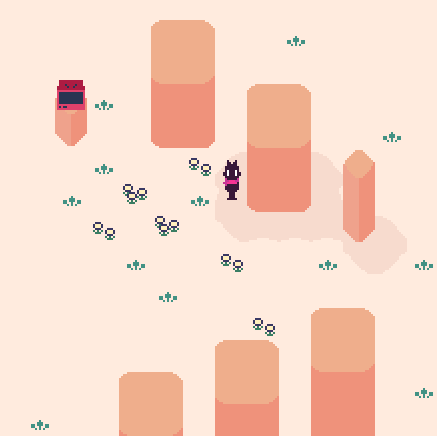 Turns out, Happup provided the perfect opportunity for that, and it helped me create some really funky looking tiles! Basically, if you select something and hold down shift, it'll create tons of copies behind it as you move it around. I took one of the orb trees from a previous tileset, chopped off the top, and experimented to see what I could do with it. Once I had the monuments built, I moved onto the little vegetable people. These guys were the product of wanting to create a more box-shaped NPC type. I'd had some before, but a lot of NPCs previously incorporated either cone or sphere-based designs, and I thought that a shorter, more squat NPC would seem charming. 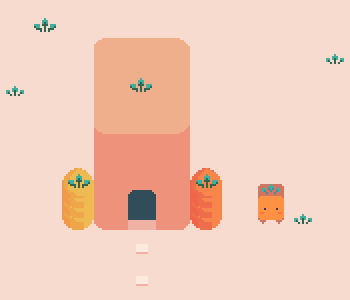 They were built to resemble the box houses in their tileset to tie the whole "plant" theme together for the village. The little chime noises they make are the product of mixing together some high-pitched church bells with some different swapped-out instruments (a different set of bells, an accordion, a "Wah Harmonica" according to Mixcraft, etc.) I made them have a couple different sounds because I thought it would be fun to add some variety to the NPCs so you're not just talking to the same one over and over. They also have different colors too, just to add a splash of variety. Well, that just about wraps it up! Sorry I didn't push this out yesterday, it was super late when I started it and I didn't want to publish it at like, 1 AM, so hopefully you guys can forgive me! Pretty happy with it, though, and look forward to more breakdowns like it in the future! Everything is bootyfwl man or woman or anything inbetween, or cat. Cheers! Been seeing most of the videos you post on youtube while I was away btw. I'll be watching you...r beautiful game :D.